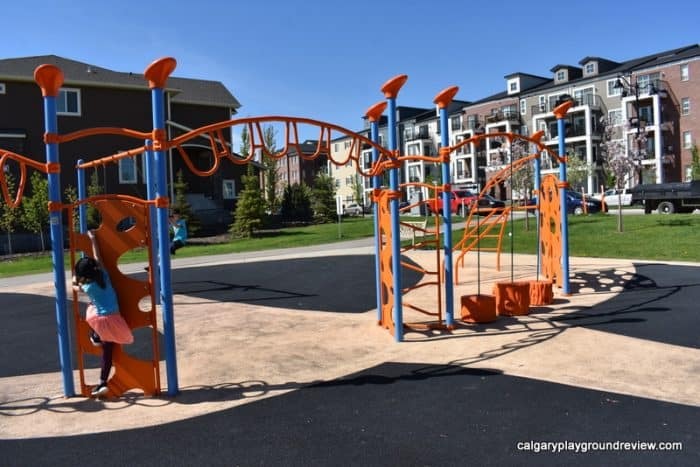 Accessibility: Playground flooring is accessible throughout but little of the equipment is accessible from the ground level. There are steps up to the climber. Shade: poor. Nearby trees are still young. 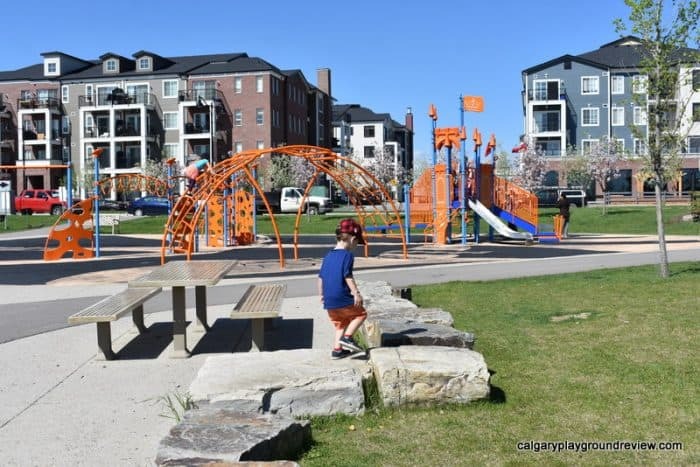 Overall assessment: This playground has a fun theme that is sure to inspire imaginative play. 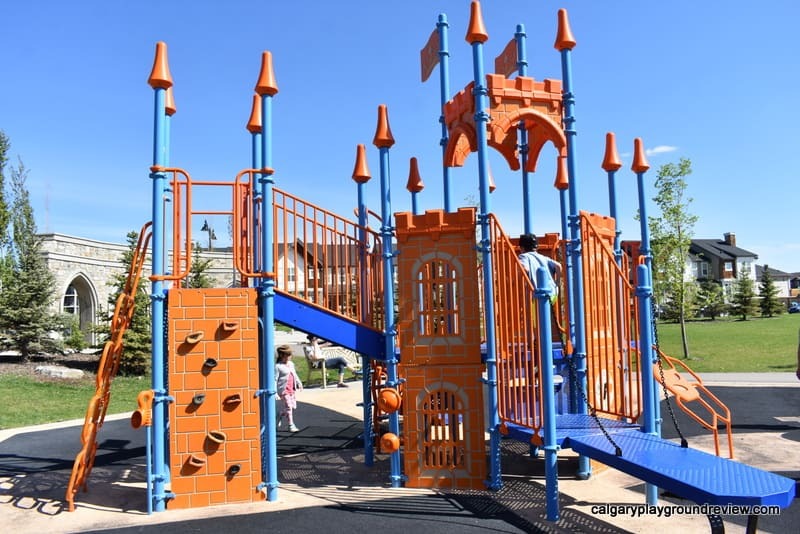 Toddlers will love the ease of getting from place to place and climbing the steps up to the castle. 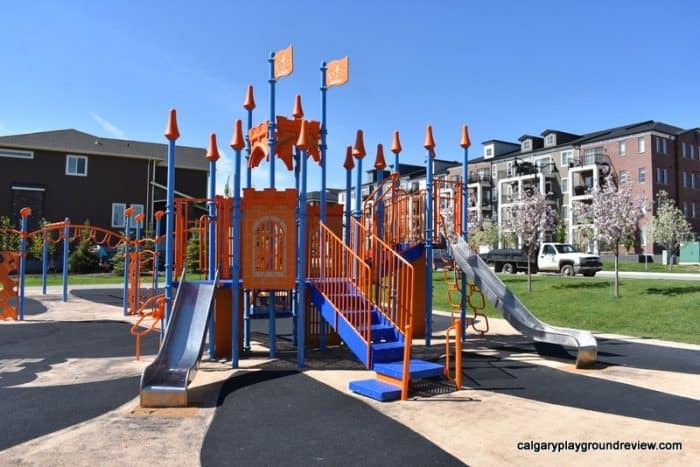 Bigger kids will love the overhead features and how high up they can get on the orange curved climber.